When people talk about Haiti, the first thing that comes to mind is that it is the poorest nation in the Western Hemisphere. But that is not how the Haitian people think of themselves. Haiti has rich culture which, in part, embodies the characteristics of resilience, creativity, ingenuity and faith. 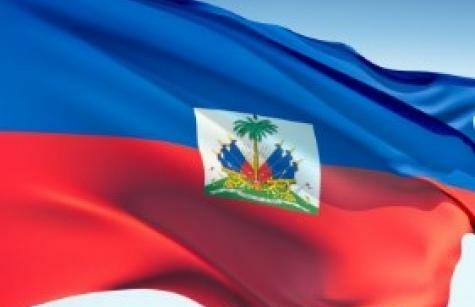 Haiti became the world’s first independent black republic and second independent nation in the hemisphere when it successfully conducted a slave rebellion, overthrowing their French colonial masters in 1804. Since February 2017, the Atlantic-Midwest Province of SSND has been engaged in a partnership in Haiti with Beyond Borders , a non-profit organization working in Haiti for over 20 years. This collaboration in Haiti focuses on developing two Model Community Initiatives (MCIs) in the communities of Ti Palmis and Nan Mango. Both of these communities are located on Lagonav, an island off the western coast of Haiti. 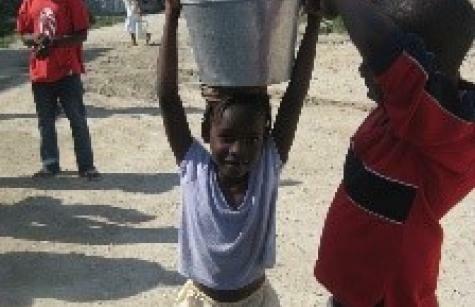 The collaboration between SSND and Beyond Borders is focused on ending violence against women and girls in Haiti and preventing parents who are poor from sending their children into domestic servitude as restaveks. The Model Community Initiative seeks to provide holistic community-based support to address the root causes of violence and restavek. 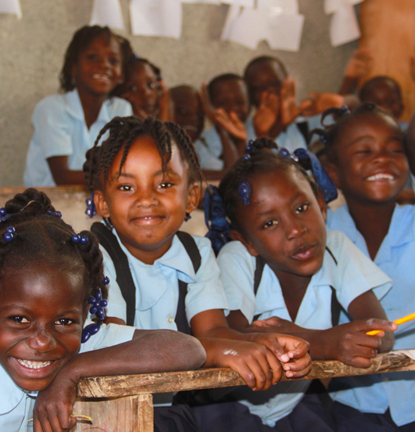 Please click here to learn about the progress made in the first year of the Haiti Partnership. As the province’s engagement in Haiti has evolved in partnership with Beyond Borders, our sisters have learned about the urgent needs of the people of Lagonav, Haiti. Our sisters have visited the island and felt compelled to identify further ways that SSND can help support. Support the Teachers Training Teachers Initiative! 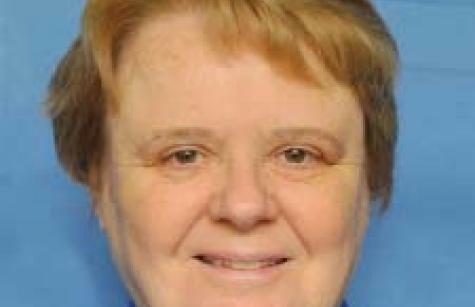 This initiative was conceived by Sister Sharon Slear, SSND, Dean of the School of Education and Acting Provost at Notre Dame of Maryland University, who traveled to Lagonav. She observed that the partnership supports much-needed training of teachers and provides essential supplies. However, teachers were not equipped to handle students with special needs. Led by the NDMU School of Education, in collaboration with Beyond Borders and the Matenwa School on Lagonav, a group of teachers are being trained in pedagogical interventions that help children with special needs achieve learning benchmarks. The cohort of trained teachers will train other teachers in their network of 25 schools on Lagonav, helping them to work more effectively with children who have diverse learning needs. AMSSND is seeking to provide Sister Sharon and her team of teachers and translators with the materials and logistics needed to implement this training in Haiti. Support The Water Initiative This initiative was launched as we learned about how scarce and precious water is on the island of Haiti. 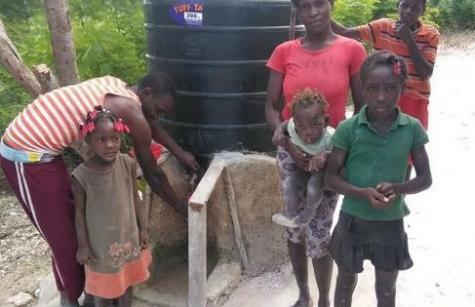 Given that water is one of the province’s four commitments, the sisters felt compelled to do more to help families in Haiti have access to water. The results so far have been life-changing for the 96 families supported with rainwater catchment systems last year. Click here to read more about this. Help us in meeting our goal of reaching 100 additional families with water catchment systems in the coming year. Each catchment system will cost approximately $350 each per household, and our goal is to raise $35,000. This will enable a household to utilize rainwater for their home and garden use. Accompanying agricultural and nutritional education will enable the garden to flourish as a source of food and income. AMSSND is committed to the goal of universal access to clean water. As part of that commitment, our province engages in education and advocacy efforts regarding the spirituality and vitality of water around the world and how to protect it. We advocate changes such as the elimination of bottled water, straws, and other plastics that pollute the earth's water and the life depending upon it. We also support and learn from projects that provide life given access to water. Sisters Sarther and Limétèze Pierre-Gilles recently visited Lagonav, Haiti. 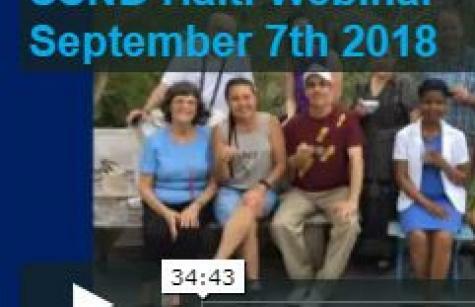 In this webinar, they share about their experience engaging with the people there and how SSND’s partnership with Beyond Borders is having an impact on the ground. The goal of Beyond Borders’ Hurricane Matthew Family Sponsorship Program is to ensure that every family is able to live independently and with dignity. This is a report of the Haiti partnership’s Teacher Training Program for Year 2 completed in Summer, 2018. In late January, Sister Catherine Sarther, SSND, who serves as secretary and on the executive committee of the Board of Directors of our partner in Haiti, Beyond Borders, visited Haiti with a group of Beyond Boarders supporters. Partnership for mission is a way of being in relationship with others which enables the mutual exchange of learning, resources, wisdom, and values, so that the interests, needs, and capacities of others can be realized more fully. Partnership is also a spiritual practice. It is indeed a journey in faith. It involves a willingness to explore a call, and trust that God-is-with-us. In partnership with the Atlantic-Midwest Province of the School Sisters of Notre Dame, in 2017 Beyond Borders engaged two new rural communities on the island of LaGonâve – Tipalmis and Nan Mango - to join the Model Community Initiative (MCI). The goal of the MCI is to equip each community to: 1. Guarantee all children protection from trafficking, exploitation, and abuse, 2. Secure access to quality primary education for every child, 3. 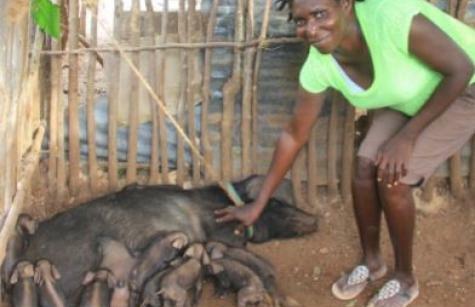 Generate sustainable livelihoods, especially for the most disadvantaged families, and; 4. Thank you again to the people of the Atlantic-Midwest Province of the School Sisters of Notre Dame who gave so generously to support the recovery of 23 families in the villages of Masikren and Matènwa on Lagonav Island. Please click here to read the full report. Sister Catherine Sarther, a member of the Beyond Borders Board of Directors, and the Province Haiti committee, visited Haiti from January 29 to February 1, 2018.